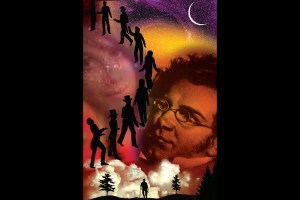 Schubert’s short story My Dream, a tale of exile and homecoming, opens new insights into the artist’s life and personality. Having performed and composed exclusively among a private circle of friends, Schubert remains one of the most elusive of Romantic composers. His outgoing personality and lively social life sometimes masked an undercurrent of anxiety, insecurity, and loneliness. In the story, many of these feelings come to the surface as Schubert recounts a dream of being driven out of his father’s house and forced to wander in foreign lands. This concert will highlight Schubert’s only known literary work amid performances of some of his most exquisite chamber music and songs, including his second Piano Trio and selected songs from Die Winterreise and Schwanengesang. The psychological and spiritual journey of Nietzsche and his alter-ego Zarathustra are portrayed in this dramatic Liederabend. The compelling language of Nietzsche’s masterpiece, along with excerpts from his letters, portray a man in search of his true self as he struggles to free himself from the grip of madness. Lieder for baritone and piano, along with the enchanting sounds of a children’s chorus and French horn, create a musical tapestry that includes Brahms’s Four Serious Songs, Wolf’s Prometheus, and Liszt’s dramatic recitation The Sad Monk.